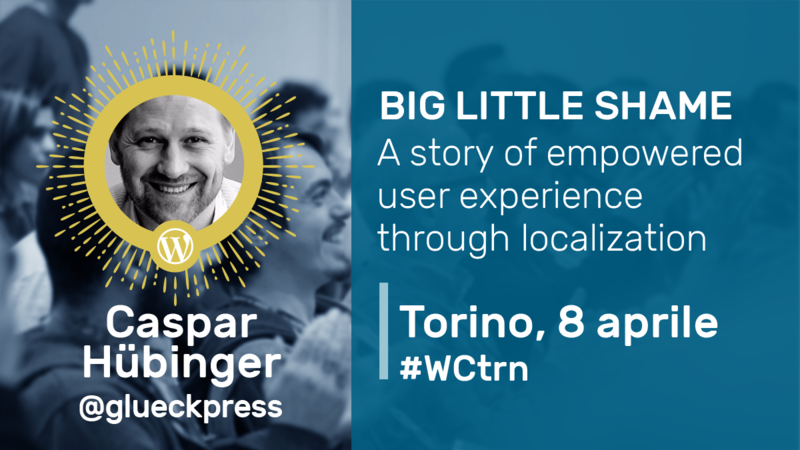 I’m honored to give a talk on inclusive WordPress localization and empowered user experience at WordCamp Torino, April 8, 2017. Why I had thought that trying to bring a topic that complex to a local WordCamp whose native language I don’t even speak was a good idea, is beyond me at the moment. 🙂 It probably will take a proper amount of good will and imagination from the audience for us to work through that presentation together. In preparation, I’m working on an update for the Stringintelligenz plugin in order to make it supportive of other locales than German. Alternative translation files will still have to be deployed with the plugin, i.e. they can’t be hosted on translate.wordpress.org like core locales. I’m aware this doesn’t sound ideal for potential volunteering localizers, so I’ll be happy to add contributors to the repos on GitHub and WordPress.org if necessary, in order to widen the bottle-neck. Next Next post: Software verändert sich. Sprache auch.